If you are filing a lawsuit against an individual or company, you may want to consider legal funding to assist you with the court costs that you will be expected to pay. Court bills can add up quickly, which is why it’s important to consider all of your options in order to determine if this type of loan is right for your situation. This is a type of loan that is designed primarily to help alleviate money problems that you may be having while waiting for your lawsuit to be settled. These loans will buy your right to a portion or all of your future settlement or award from the lawsuit in exchange for a certain sum of money that acts as an advance. This type of loan will allow you to have some much needed money during the course of the lawsuit process, which will help you pay for rent and other necessities. If you’re struggling with paying your court costs, it’s possible that you will jump at the first settlement offer you receive. 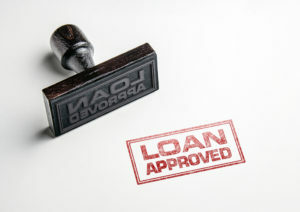 These loans provide you with breathing room that should help you negotiate for a better settlement. When you’re looking to qualify for this type of loan, keep in mind that not all cases will qualify for one. You will only be provided with a loan when the loaning company is mostly confident that you will be able to settle or outright win your case. Even if you are expected to win, it’s possible that a lending company will not provide you with a loan if they believe that you won’t make enough from your lawsuit to cover the cost of the loan. When you are searching for the right legal funding loans, it’s essential that you browse around in order to make sure that the loan company is reputable and that you’re provided with a fair deal.